Jody Bravo has vowed to raise her baby alone and do it right. But Sheriff Seth Yancy, whose deceased stepbrother is the father of Jody's child, is going to protect and look after the baby and Jody—whether she wants his help or not. Nurse Paige Winters and Dr. Luke Sherman have butted heads since they started working in the ER together. But after she finally gives him a piece of her mind and switches floors, Luke realizes Paige is much more than just another nurse, and he's determined to prove he's exactly her kind of doctor! 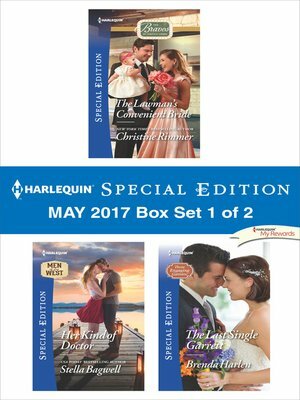 Look for Harlequin Special Edition&apos;s May 2017 Box set 2 of 2, filled with even more stories of life, love and family!